Diamond Fingers and Gauging Points are used in measurement technology in combination with measurement controls in semi and fully automatic production. Difference in the dimension and shape of the fingers depends upon the type of grinding machine and size to be measured. Diamond Fingers are made out of a Gem quality diamonds mounted on non –magnetic stainless steel blank, with a completely blended tip radius to match the angle as per the requirement. The major application of the diamond fingers are in bearing industries for bearing caps, internal diameter, outer diameter, and ball races measuring. 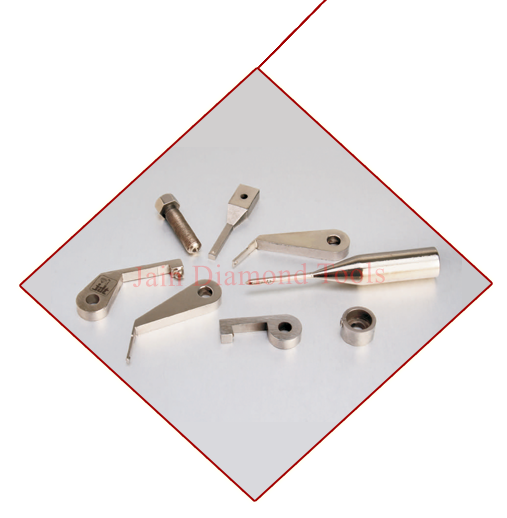 Diamond gauging points are used in automobile industries for crankshaft, camshafts, gearshafts, pin and others for outer measurement. Due to various shapes and sizes kindly enclose drawings while sending any enquiries.